“The Hummingbird Project” is a colorful and interesting examination of epic failure. 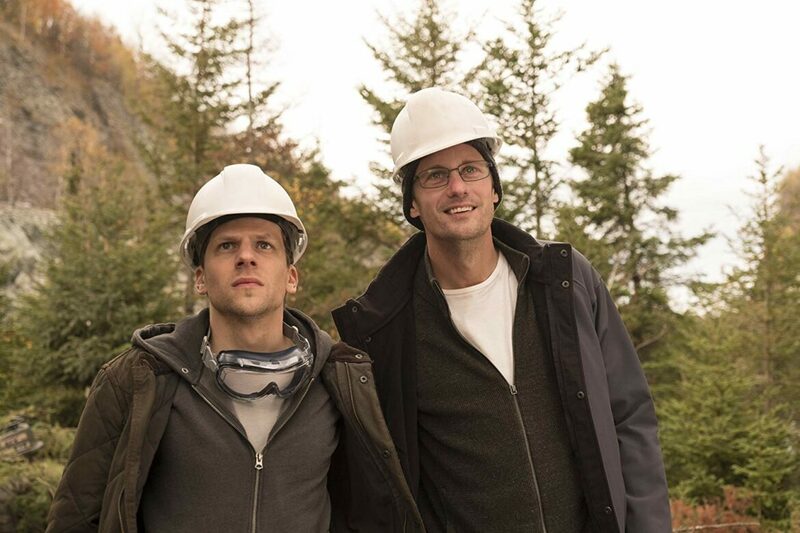 Starring Jesse Eisenberg and a nearly unrecognizable Alexander Skarsgård, “The Hummingbird Project” is a fascinating movie. 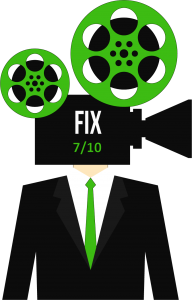 The story is about two cousins, Anton and Vincent, who convince investors to bankroll a massive, crazy project to drill a direct, fiber optic cable line from a location in Kansas all the way to Wall Street. The novel idea is that a straight line, wired connection will give them a few milliseconds edge over other traders. They characterize it as similar to having a time machine. But standing in their way is their ruthless former employer, the tough-as-nails Eva Torres (a business savvy Salma Hayek). A nearly unrecognizable Alexander Skarsgård is threatened by a ruthless Salma Hayek. 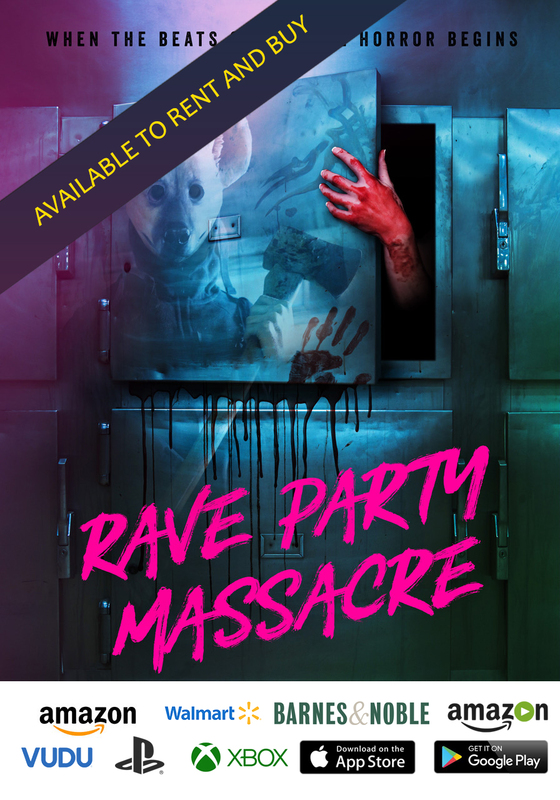 Watch this one for the performances, especially by Skarsgård. In addition to shaving his head, the tall, very handsome, Swedish actor adopts the hunched over, pinched posture of an intellectual introvert. His transformation, mostly achieved through physicality, is striking. And the performance as a whole is something of a revelation, in which he gives us a layered and intriguing characterization. 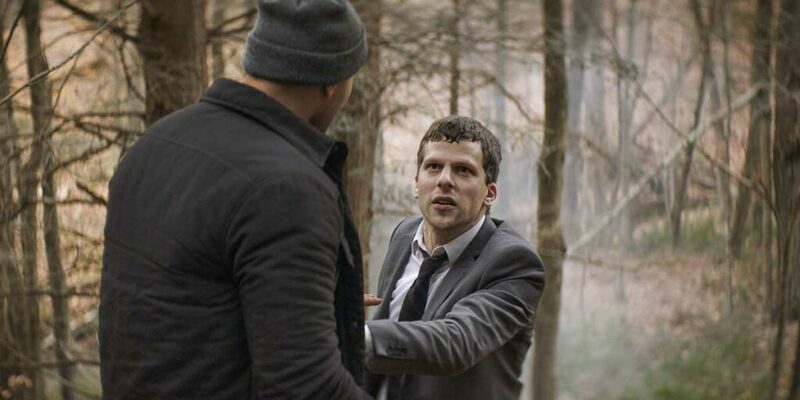 Jesse Eisenberg plays desperate in a scene with Michael Mando. 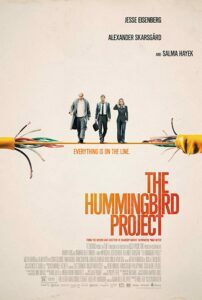 The relationship in the film between the cousins is reminiscent of the friendship between characters played by Mickey Rourke and Eric Roberts in “The Pope of Greenwich Village.” Although this relationship is sweeter, the story in “The Hummingbird Project” is equally challenging. Filled with references to fiber, routers, drill bits, and data in milliseconds, “The Hummingbird Project” is a nerdy, but engrossing, film.